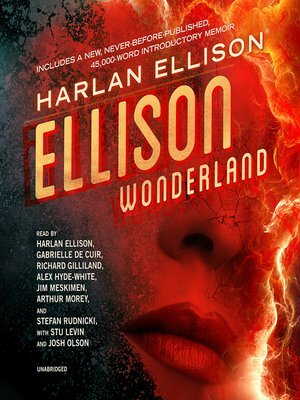 Originally published in 1962 and updated in later decades with a new introduction, Ellison Wonderland contains sixteen masterful stories from the author's early career. This collection shows a vibrant young writer with a wide-ranging imagination, ferocious creative energy, devastating wit, and an eye for the wonderful and terrifying and tragic. Among the gems are "All the Sounds of Fear," "The Sky Is Burning," "The Very Last Day of a Good Woman," and "In Lonely Lands." Though they stand tall on their own merits, they also point the way to the sublime stories that followed soon after and continue to come even now, more than fifty years later. J. Michael Straczynski has had one of the most varied careers of any American writer, penning hundreds of hours of television, comic books for Marvel and DC that have sold over 13 million copies, and movies that have grossed over a billion dollars.